This is an informal painting of John, a successful business man. John’s wife Margaret came into the gallery and asked me if I would paint his portrait. 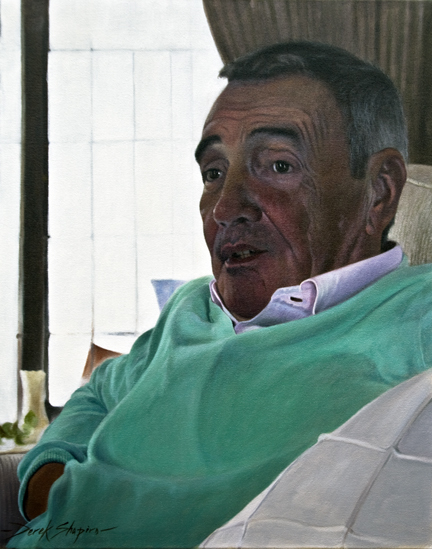 John, who is at the helm of a successful transport business and normally wears a suit for work, decided that I paint him dressed informally,relaxing in his home, whilst watching television. I worked from an initial sitting, made notes and took photographs for reference, as John chatted away about his climb from rags to riches. Commissions welcome, any subject, please click here .